Cycling is a great way to get in shape and have plenty of fun. Here at Cycling For Fun, we like to express just how bike riding can add some fun & excitement to your outings. I have discovered a great way to include cycling as a main theme to your next vacation but also adding a satisfying twist to it. What I will show you is a cycling vacation at it’s best like it has never been done before for most. What Is Important To Your Bike Ride? When you’re cycling what makes your ride the most pleasurable for you? Some might say they love the workout. Others might say they love bonding with friends or family. You also have those that might ride alone and say they like the solitude. For me, and I am sure I am speaking for others when I say just being outside and enjoying the sites will really stimulate my pleasure for bike riding. Also, seeing some wildlife can really make a bike outing rememberable and educational for some. So if you combine a trip somewhere that you never experienced before you will be completely ecstatic while you are pedaling away wherever you are. Wouldn’t you agree? Let me share with you a great opportunity for you to grasp a wonderful experience that I am sure you would love to indulge in. How many of you have visited the San Juan Islands? It is located on the northwest side of Washington State. This area is loaded with world-class whale watching, kayaking, biking, hiking, cozy lodging, pebbled beaches, Stunning sunsets and just downright beautiful nature. How can you enjoy all of this on a bicycle tour? 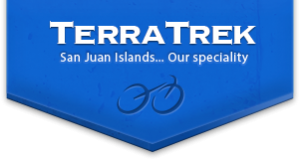 I am going to recommend taking your next vacation on a bicycle tour with TerraTrek Touring. The crew of TeraTrek Touring specializes in thrilling their guest within the San Juan Islands. They will dazzle you with the wildlife on land & sea alone with the beautiful paths and roads leaving you with a memory you will never forget. The marine mammals there are some of the most interesting creatures you will ever encounter. 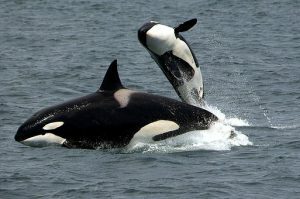 These include Orca Whales, Minke Whales, Seals and Sea Lions. The great thing about TerraTrek is that it gives you some versatile options that will accommodate anyone that is trying to plan a wonderful vacation for everyone involved. They have trips varying from $780 to 2,580. They consist of your choice in touring only the San Juan Island or choosing a package that also includes Orca Island and Lopez Island as well. These tours range from 2 days/1 night all the way to 6 days/5 nights. Another great option you have is their specially planned family trips. What a way to give the young people of the family a great learning experience. Click Here to see your wonderful choices. Take a look below at what you can capture in your memory. So what do you think? 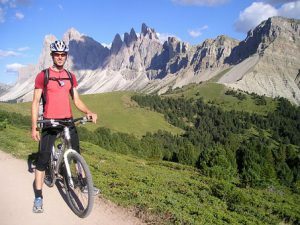 This is one of the most exciting bicycle touring opportunities that I have run into and I want to share it with you all. I recommend it strongly. If it is me I’m choosing the 6 day/5 night option to get the most out of the trip. Here at Cycling For Fun, I like to bring all that cycling has to offer. 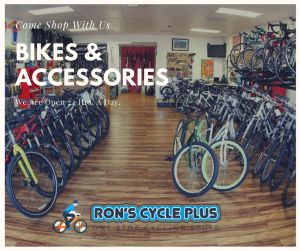 From bikes, accessories, touring, clothing and fitness. Contact TerraTrek by Clicking Right Here to get your plan started. I hope you enjoyed the article and found a great place to take your next vacation at that will give you something to remember for days to come. Please feel free to leave any questions or comments in the comments section below. We will try to assist you as much as possible.